St Albans, situated just north of London, is one of a handful of towns in the UK claiming to have the ‘most pubs per square mile’ in the country. No comment on the truth of this claim (perhaps you know better), but it does make for a vibrant local music scene which forms the home stomping ground of talented UK singer-songwriter Nick Stephenson. 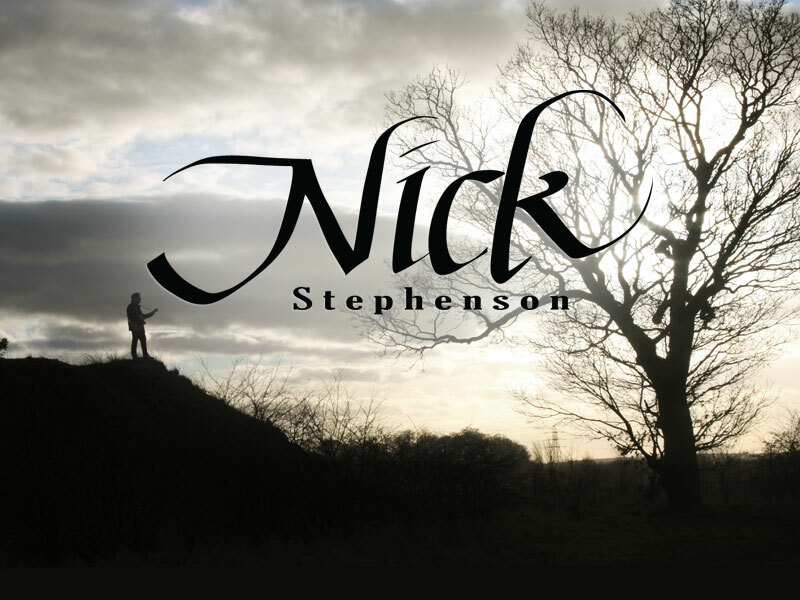 Nick Stephenson organises music gigs in St Albans and all over the country, hosting open mic nights on a weekly basis and often touring far and wide to perform both solo and with his band – Nick and the Sun Machine. 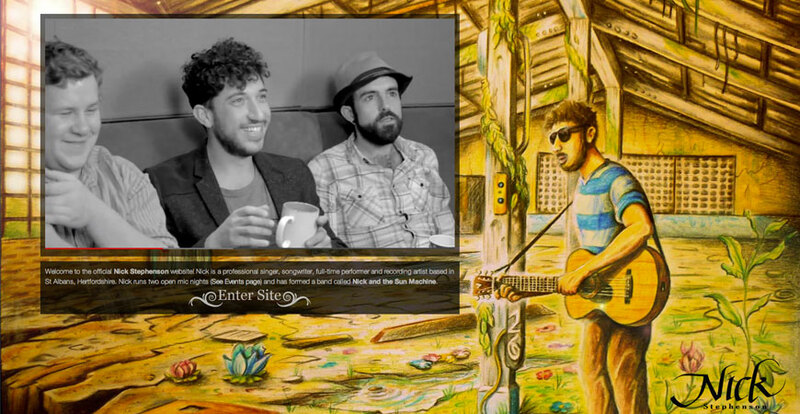 His website needed to cater to his multi-faceted projects and creativity and was originally conceived to showcase a community of like-minded artists – music or otherwise. With this in mind, we created pages for music, events, videos, thoughts and art, tailoring the layouts to suit the various types of content. 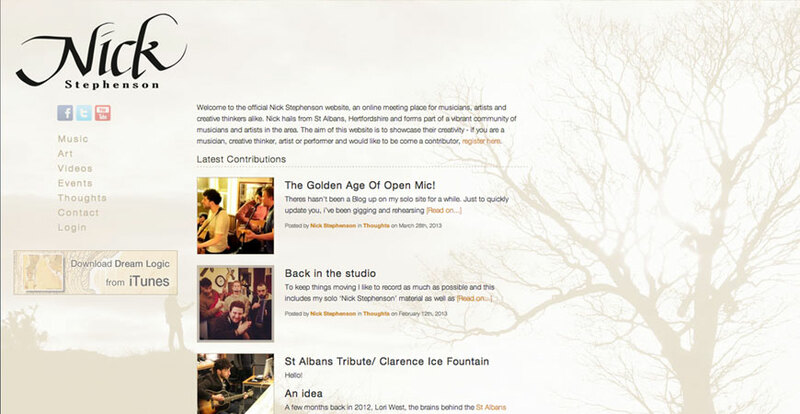 After the logo was vectorised and we’d decided on the web design style we paid a visit to a massive tree near St Albans – to which Nick sang while I photographed him – to capture the photo used as the background image of the site. This had to be manipulated to make sure that graphically it doesn’t clash with the content, and it also resizes according to screen resolution. The work done to optimise the website for search engines paid off and within a couple of months of launch it climbed its way to the top of the results. 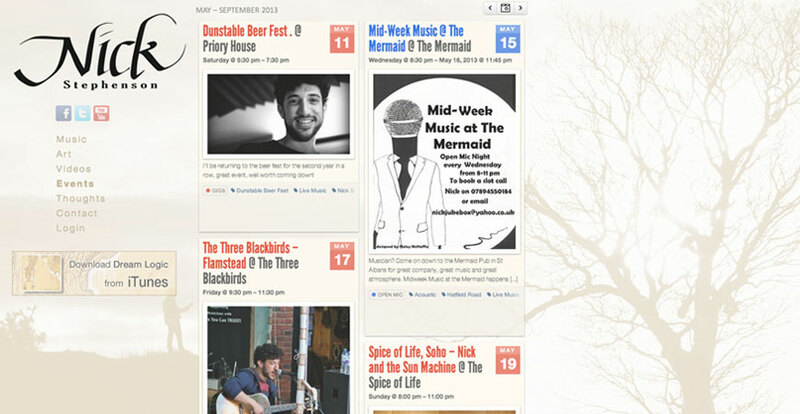 Stories are important for any songwriter and the layout of www.nickstephensonmusic.com was designed to allow you to scroll down the page content while the navigation menu remains static but unobtrusive. 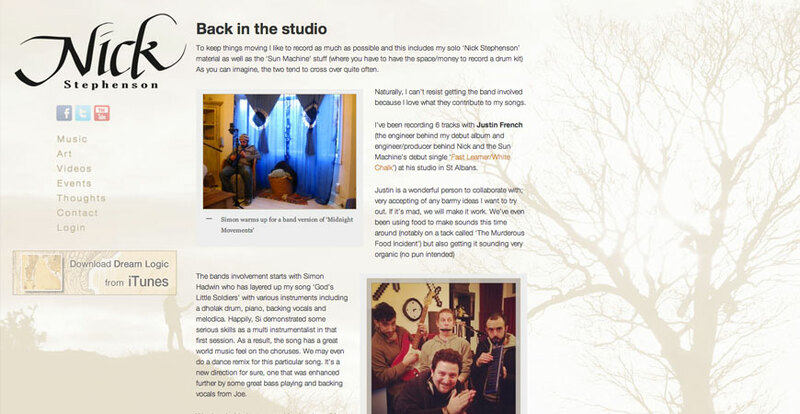 Nick’s site was later updated with a welcome page featuring an illustration by an artist who is a good friend of his and a music video for Nick and the Sun Machine’s single, “Mountain”, recorded at the RME Sessions in Air Studios, London. Placing both of these objects on one page proved a delicate balance as the video, text and logo elements float on the background image, while everything needed to resize to fit the various screen sizes popular at the time, keeping it mobile and tablet friendly. © 2019 Oodelally Ltd. All Rights Reserved.